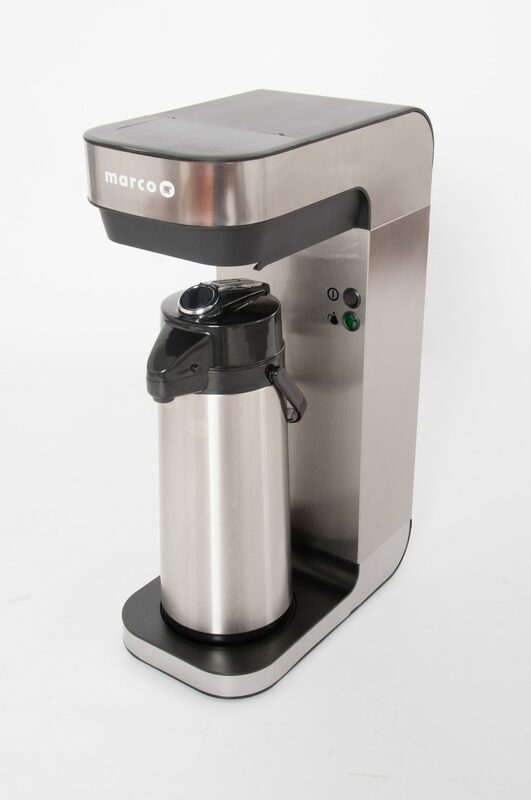 At Marco, we provide the global food service industry with a range of hot beverage solutions. 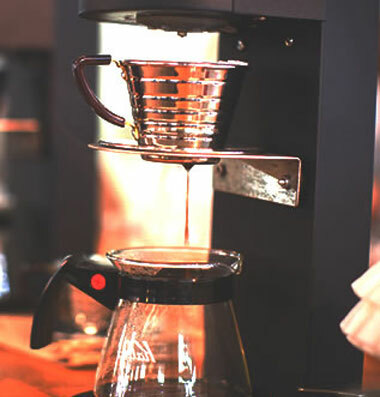 With over 30 years’ experience in the HORECA business, we have advised multiple customers on the best equipment for their tea or coffee programmes. We work with our trusted network of Distributors to place our equipment in different locations around the world. From stadiums to hotels, petrol stations to independent coffee shops – we have a suitable hot water or coffee solution. In our experience there’s one thing we know for certain: serving tea and coffee is not as simple as it looks. We also know that while different businesses have different hot beverage needs, they should never compromise on taste. With tea and coffee consumption continuing to grow, consumers are also becoming increasingly discerning and expect certain standards – whether they order in a fast-paced hotel or a cosy tea shop. If you’ve ever worked in the HORECA industry – you know the biggest challenge is always time. Tea and coffee service in hospitality, restaurant or catering businesses needs to be a finely tuned process, with little fussing over recipes and a high level of reliability. Depending on the volume, we recommend either a BRU F60M or a Jet for coffee service. The F60M is the most reliable, fool-proof way of serving customers. It’s simple to set up and doesn’t required a water mains line with the manual-fill option. The 2.2 litre airpots can be moved into a canteen, kitchen or service station and keep coffee warm for several hours. 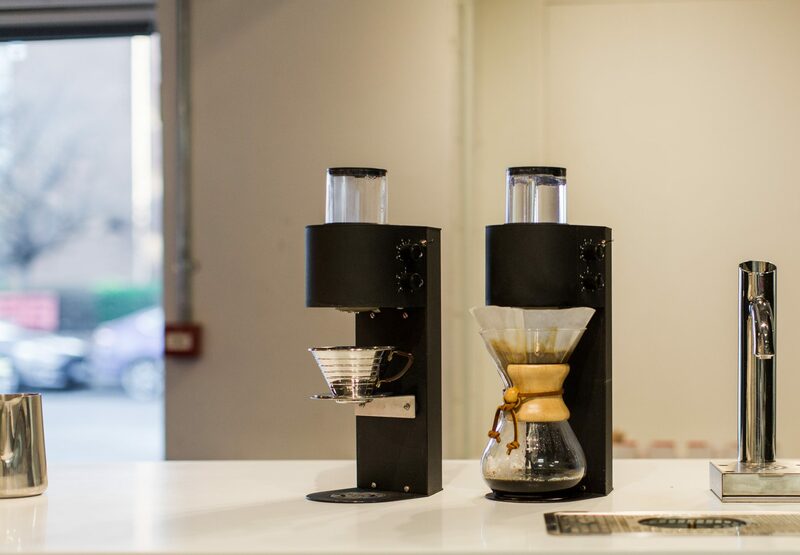 The Jet batch brewer is the ideal option for those with higher volume needs. Brewing on the Jet and Jet Twin can be fully automated to allow for precise recipes and quality control. The touch-screen is programmable for morning, afternoon and evening brewing and the basket lock means that safety is always ensured. The portable 6 litre urns also keep coffee hot for up to 4 hours making the Jet the perfect option for hotels, restaurants, cafes and catering locations. Working in a large venue can be challenging – you need to serve thousands of people in an incredibly short space of time, plus you need all the counter space you can get to make room for cash registers and servers. The ideal solution for large venues is our tubular font. 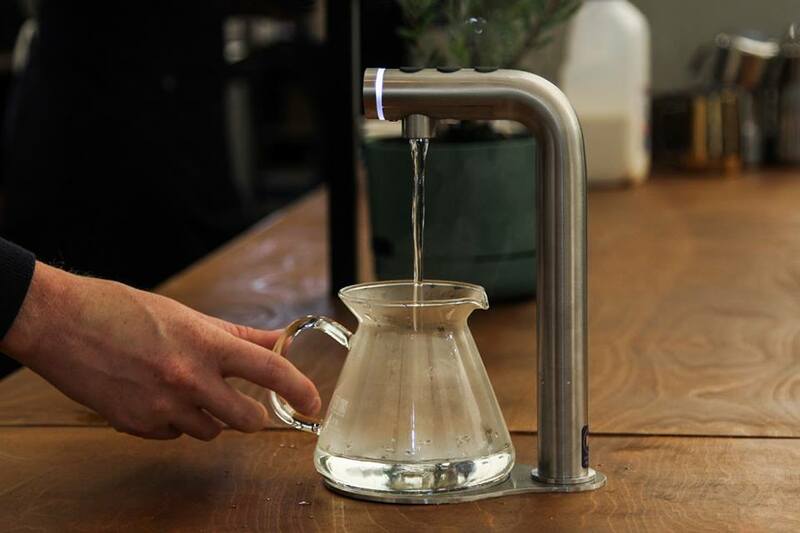 The tubular font dispenses a pre-set volume of hot water so that staff aren’t required to wait around for the cup to fill and trust us – those seconds count. The tubular font takes up a minimal counter footprint and can be connected to a 4, 10 or 45 litre under-counter boiler. For extra efficiency – three fonts can be connected to a 45 litre boiler. 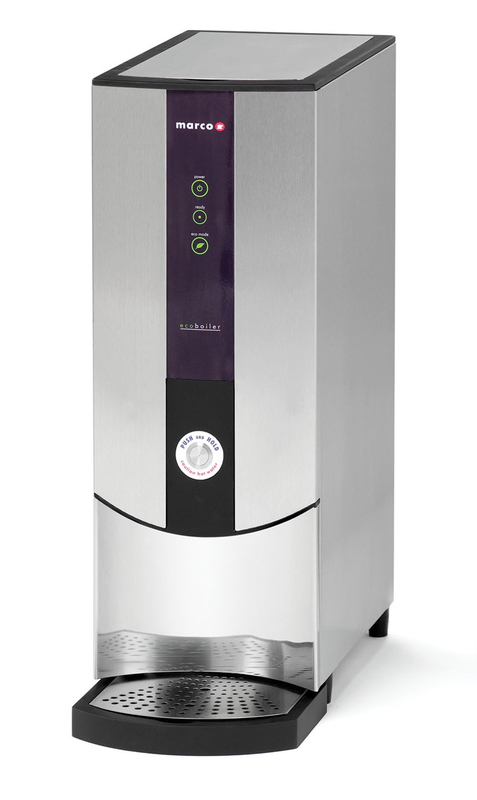 Service stations, offices, gyms and venues all need hot water solutions that are reliable, easy-to-use and safe. Push button water boilers are the ideal choice as they require no programming and minimise the contact with hot water. Our Ecoboiler range comes in varying sizes depending on the volume needs. They are easy-to-descale and plumb directly into the mains. The Ecoboiler range is also highly energy efficient, with an insulated tank and made from 95% recyclable material. The demand for high-quality tea and coffee has been growing significantly and looks like the trend is set to continue. 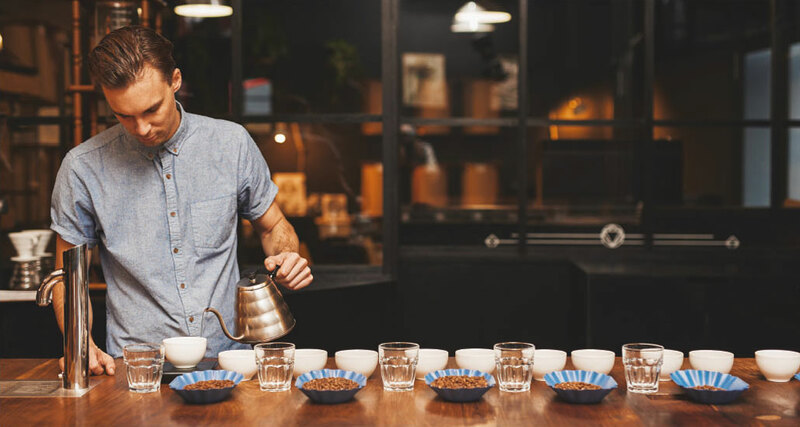 Specialty shops are at the centre of community and are often the first point of call for consumers to try and learn about coffee. 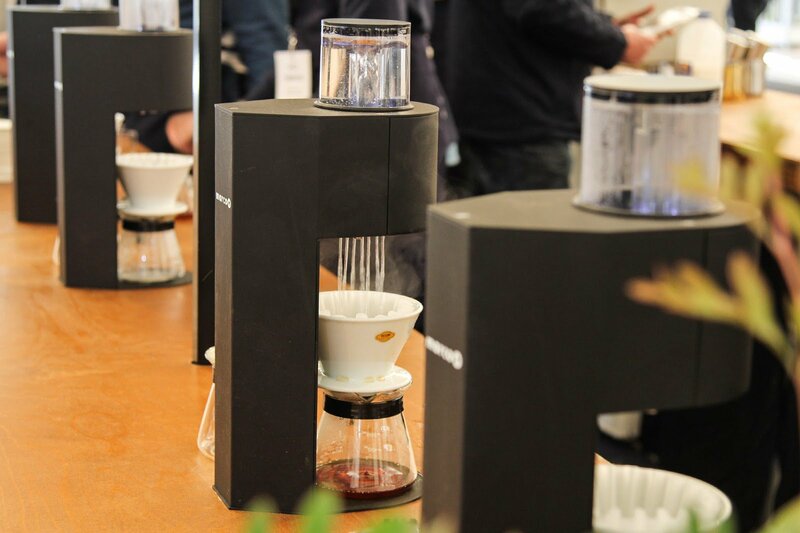 Making the best-tasting cup of tea or coffee is only the beginning. Anyone designing a specialty tea of coffee shop needs to consider layout, aesthetics, space and workflow. Our favourite boiler range for specialty tea and coffee shops is the MIX. The MIX allows the user to programme three temperatures and three volumes into the same boiler. This allows for precise temperature control which is highly important when serving different types of specialty tea. The MIX isn’t just innovative in its’ water delivery, it’s good for operating costs and the environment. The range is designed with a heat-retaining vacuum insulated tank that keeps water at a consistent, reliable temperature and makes it 66% more energy efficient than leading competitors. For those with less counter-space or for those with a keen design-eye, the MIX undercounter range comes with a slim-line steel 3 or 1 button font. The under-counter version is a sleek space-saver that not only looks great but allows for more counter room and face-to-face customer interaction. 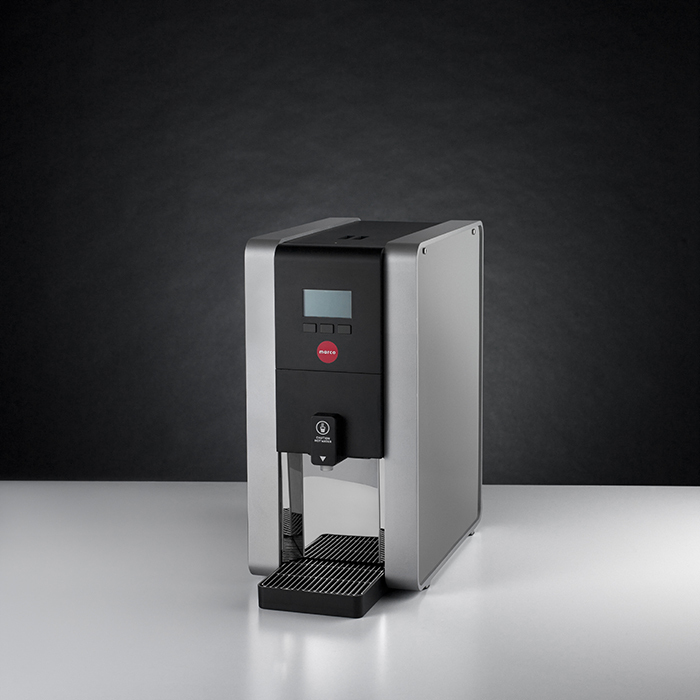 The Marco SP9 is also the perfect addition to a specialty coffee shop, as it allows for single-cup serves, which gives customers by-the-cup choice. 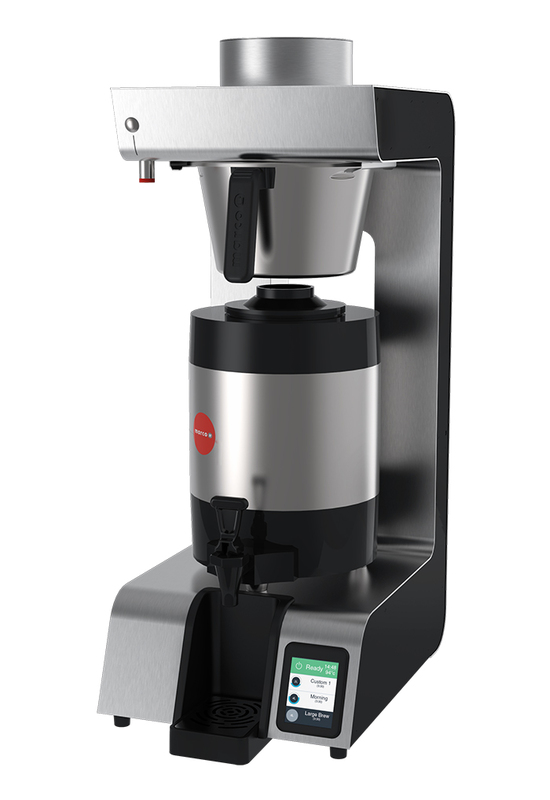 With a minimal counter-top footprint and a striking design profile, the SP9 comes with an under-counter boiler that circulates water between the head and boiler to ensure that temperature remains exact during each brew. Specialty coffee shops around the world have chosen the SP9 for it’s precision, pulse brewing and unrivaled temperature and volume control.